The Carnival Dream is the largest "Fun Ship" in the fleet, and it offers so many different things that you won't know what to do first! 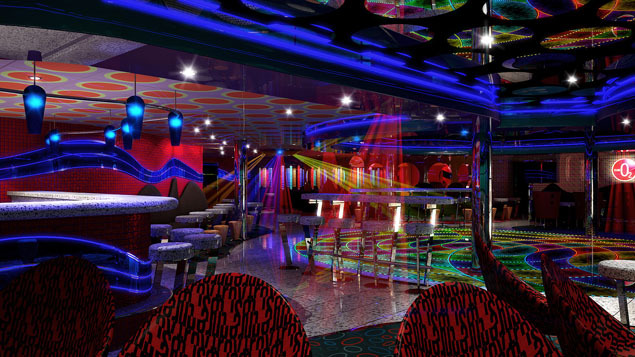 Set to take its first voyage in September of 2009, the Carnival Dream is designed to be the ideal floating vacation! 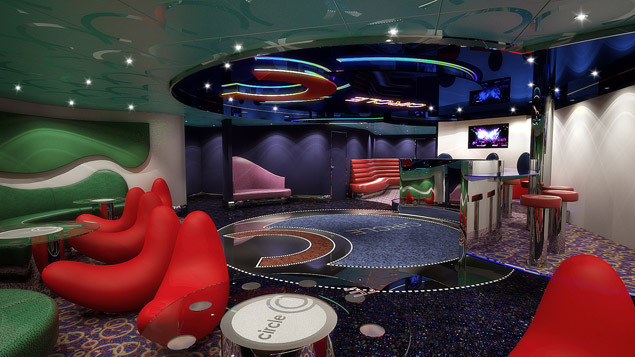 Able to carry up to 3,646 passengers, the ship has all the amenities you could ask for - and then some! It features The Piazza - a gorgeous indoor/outdoor café that has a live music venue; also, the Dream has the most elaborate children's play facilities you'll ever see including expansive play areas and an enormous aqua park! There are scenic whirlpools that overlook the beam of the ship with an ocean view - and now the staterooms have been taken to the next level, including options for entire families! 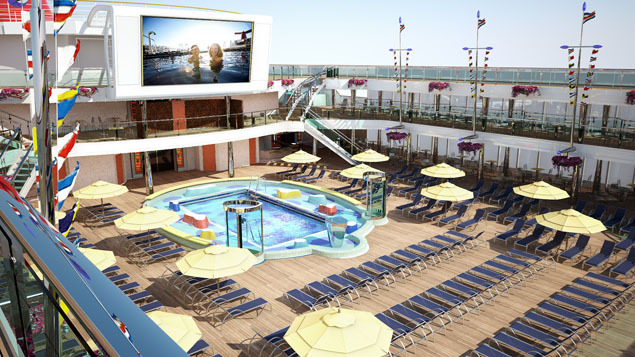 The best part is, all of these amenities are included in the standard cruise fare! So hurry up and book a room on this magnificent ship before September - and get ready for the cruise of a lifetime! Carnival Dream will blow your mind! There is no shortage of things to do, sights to see, and things to take your mind off of real life. You'll be living in a dream the entire time you're on this ship! Take in the breathtaking lobby - you've never seen a lobby like this one! Have a drink at the bar while you admire the view, and then take a stroll outside. The Lanai is a half-mile long promenade that has food, a Jacuzzi, and a great ocean view! Relax and soak up the sun by the Waves Lido Pool, which also features live music! You can also enjoy an adults-only retreat at Serenity, where the sound of the waves and the salty ocean air liberate you. Relax at the spa, or work out at the fitness center - there are so many different things to do, you'll be astounded! 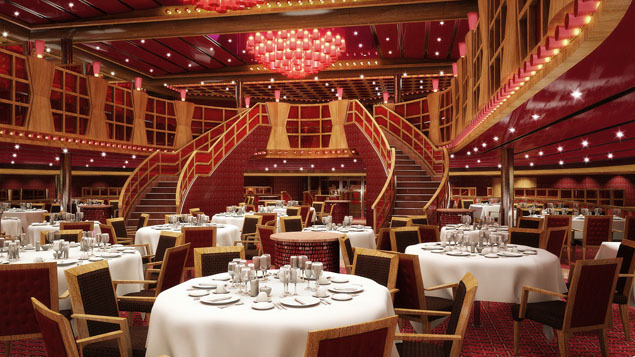 Dining on Carnival Dream is a delightful experience that you're bound to enjoy at every meal! The Crimson is the main dining room, and offers culinary pleasures and such a large choice of foods that your every desire will be fulfilled! The Gathering has a pasta bar, as well as other types of cuisines, while Ocean Plaza has pastries, coffees, teas and other great snacks! The Chef's Art Steakhouse is the perfect place to enjoy USDA prime beef cooked to your favorite specifications; there is also an extensive selection of seafood entrees and gourmet appetizers, all accompanied by fine wines! Wasabi is a sushi bar, and you can also enjoy meals at the poolside grills, too! 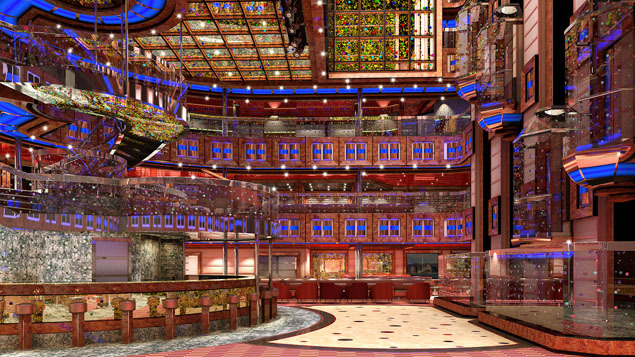 The Carnival Dream is equipped to keep you entertained both day and night; step into one of the many bars and lounges on board, and you'll see why! Fancy a cocktail? Enjoy your favorite drink along with the smooth sounds of jazz tunes, or head over to the piano bar for a live piano show and singalong! 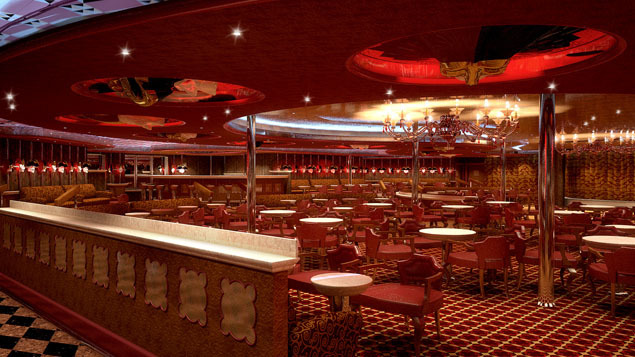 The Scarlet Lounge is another place where you can enjoy Karaoke, or watch live comedians; you can even enjoy a movie on the deck at the Carnival Seaside Theater! Don't forget - you can dance the night away at the Caliente Dance Club!